Our new research from our partnership with Leeds University Business School (LUBS), sheds fresh light on the factors affecting decision-making by pension scheme trustees. 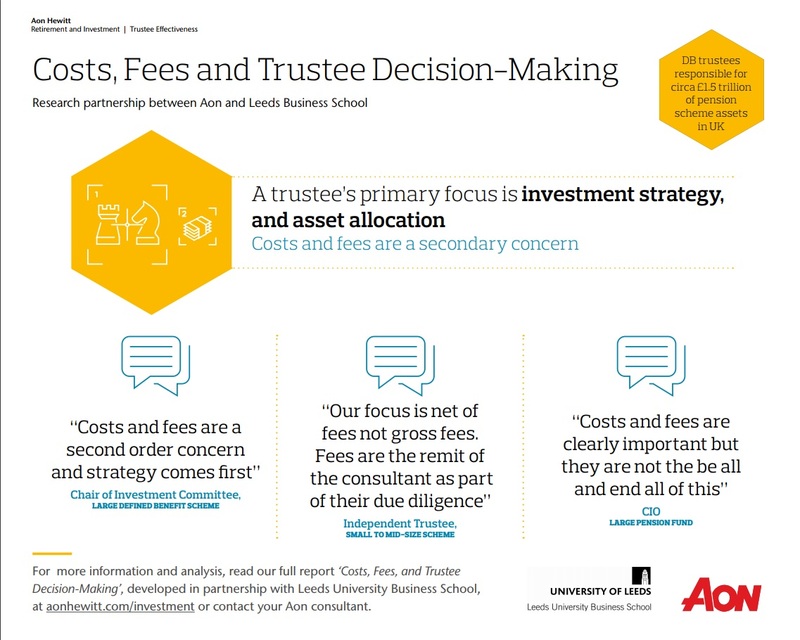 The second paper 'Cost, Fees, and Trustee Decision-making', examines the importance of costs and fees in trustee investment decision-making, and aims to understand the issues faced by trustees concerning the explicit and implicit costs and fees associated with fund management. This follows on from the first in this series of papers, Mapping the Trustee Landscape. The wide-ranging research, led by Dr. Iain Clacher, Associate Professor in Accounting and Finance at Leeds University Business School, is based on 197 mainly defined benefit (DB) trustees and scheme managers in the UK, representing schemes ranging from those with less than £15m under management, up to those with more than £5bn, with 60% having assets under management of between £100m and £2.5bn. The research reveals that trustees focus first on investment strategy and asset allocation when considering pension fund outcomes, with costs and fees coming as a second consideration. However, the qualitative interviews with respondents showed that trustees do place importance on value for money and on knowing what they are paying for. This includes how any value generated by extra fees is split between the pension fund and the fund manager. Smaller scheme trustees are more likely to need help with understanding explicit and especially implicit costs. 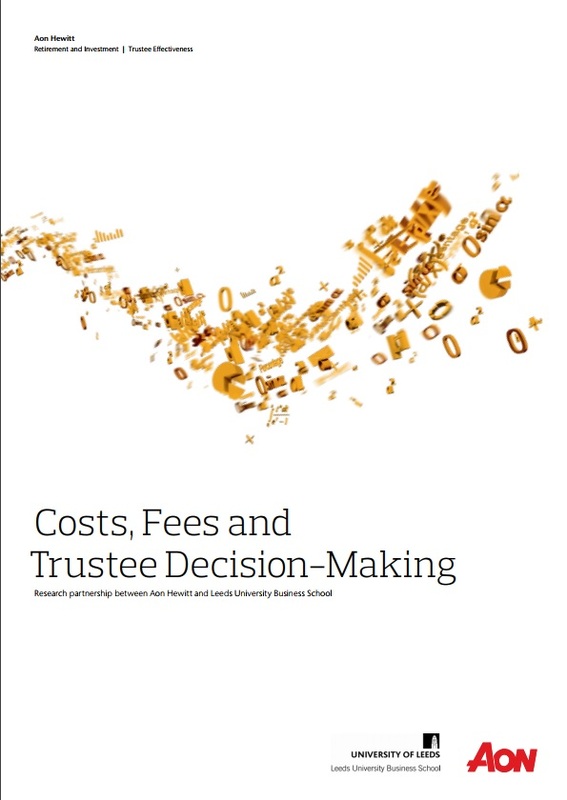 This paper examines the importance of costs and fees in trustee investment decision-making, and aims to understand the issues faced by trustees concerning the explicit and implicit costs and fees associated with fund management.